STRATA Architecture Inc. was hired to design a new building on the prominent corner of Main and Wall Streets in Fort Scott, Kansas. 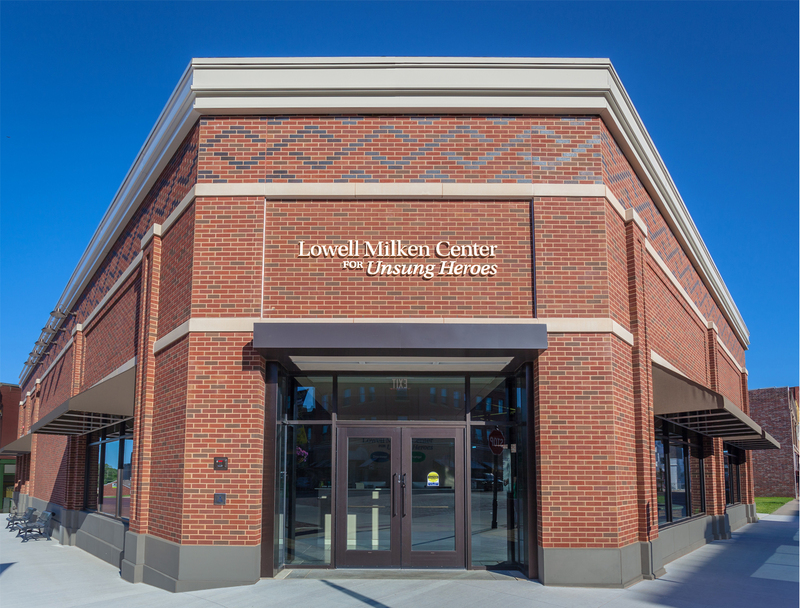 This new structure provides needed exhibit space and offices for the Lowell Milken Center. The building was placed on the site of a vacant lot where, in 2005, a devastating fire led to the loss of seven historic structures and damaged many properties, making a significant impact on the character defining elements of the historic downtown core along Main Street. The site has been vacant since that time. STRATA generated a new infill design in keeping with the downtown historic context as well as sited the building to create an “edge” to the historic block. The building’s primary elevations include masonry walls that coordinate with the architectural language of the downtown and features high parapets to keep the height consistent with the surrounding existing buildings. Expansive storefront was used to connect with the public, street and City’s adjacent green space. The interior contains an exhibit gallery, conferencing facilities and offices. 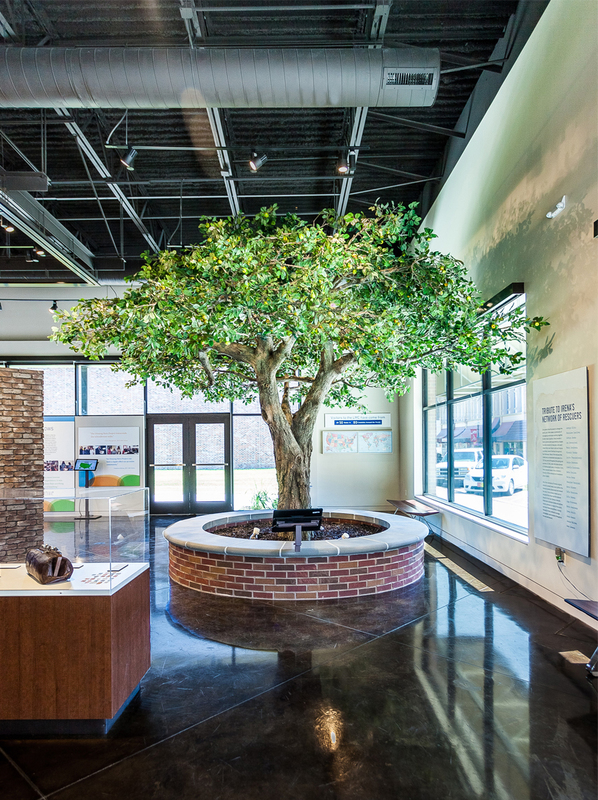 The exhibit area incorporates moveable displays as well as features a small performance theater highlighting the center’s purpose of telling the unsung hero’s story.